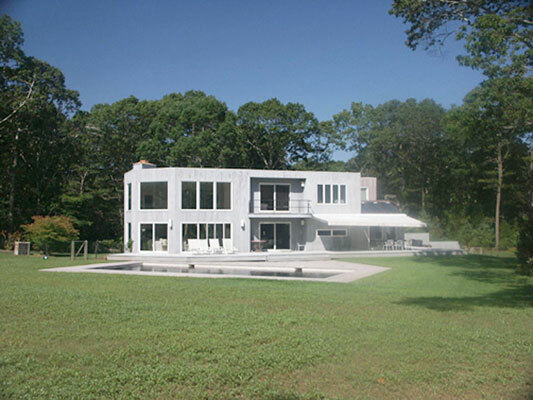 Update to a 1970 builder’s house in East Hampton. The new design transformed the 2-story living space into a pavilion-like structure. 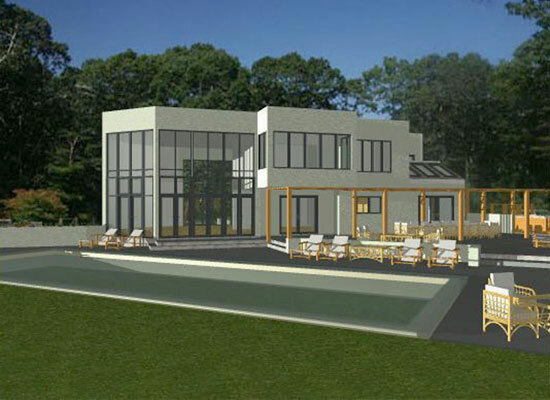 Outdoor living spaces connect to the existing swimming pool.